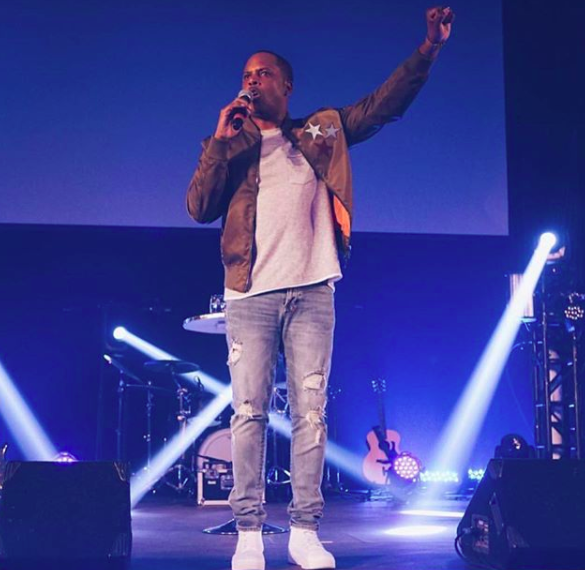 Roberts launched One Church of LA in 2002, but he recently joined it to The Potter’s House brand in August 2017. Now officially linked to T.D. Jakes’ business and theological influence, Roberts is contractually obligated to preach false doctrine for as long as he pastors his church. This isn’t to say Roberts wasn’t already a purveyor of compromise and Biblical error in his own right, of course. In fact, Roberts made headlines - secular and faith-based - in 2013 when he called Michelle Williams and Kelly Rowland to the pulpit and repented to Destiny’s Child on behalf of Body of Christ! “It’s called identification repentance. Where you stand in the gap of an individual, a community - it could be a race of people - that have wronged someone, and you repent on behalf of that people or that group,” Roberts told his congregation. According to Roberts, he had the authority to repent in such a way because he’s a pastor. Of course, ‘identification repentance’ isn’t Biblical. But it does pervert a Biblical truth. Before Christ, under the Law, God ordained certain men high priests to “offer both gifts and sacrifices for sins” on behalf of the people and for themselves (Hebrews 5:1). These men, being of a sin nature themselves, had compassion for those who were “ignorant and going astray” (Hebrews 5:2). Yet their calling to stand in the gap was of God - not of their own accord; for matters pertaining to God - not matters pertaining to the world; and for sins committed against God - not for perceived offenses between mankind! And their service was a foreshadow of Jesus Christ, who is NOW our High Priest - there is no other man serving in this role, nor is another needed, nor will there ever be another. When Jesus died for our sins on the cross, He was the final sacrifice for sins (Hebrews 10:12). And now He sits at the right hand of God and is the ONLY mediator between God and man (1 Timothy 2:5-6). But back to Roberts, because he wasn’t done repenting to celebrities on behalf of the Church. But enough of pop culture, let’s address an even deeper matter: Roberts’ instructions to the saints in these last days. But while Roberts is telling his congregation to pursue their destinies while they still have time, those of us who follow Jesus know He tells us to gird ourselves spiritually that we are strong enough to endure and love even in the midst of what’s coming: severe persecution, hatred and lawlessness (Matthew 24:9-12; Mark 13:11-13; Luke 21:12-18). All of this is because sin entered into the world through Adam, the first man in creation (Romans 5). But Christ, who died for our sins, was resurrected as the "Firstfruits" of a NEW creation (1 Corinthians 15:23). And if we confess with our mouths that Jesus Christ is Lord and believe in our hearts that God raised Him from the dead, we too will be raised to glory on the last day (Romans 10:9-10). Paul is telling us to remain encouraged. Jesus is telling us to stay woke (Matthew 26:41)! But if you hang your hope on anything Roberts says, you’ll be among those who are spiritually blind and unprepared - probably someplace repenting to celebrities - when Jesus returns. Older PostSomething in the Milk Ain't Clean: Avoid Sarah Jakes-Roberts in 2018!